…he urges participants to be focus, steadfast, committed, serious minded and see the opportunity as a life changing process. 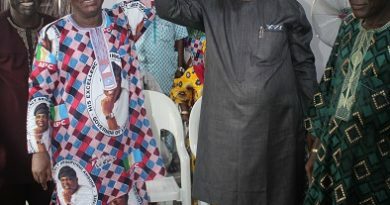 The Executive Chairman of Ojokoro Local Council Development Area, Hon. 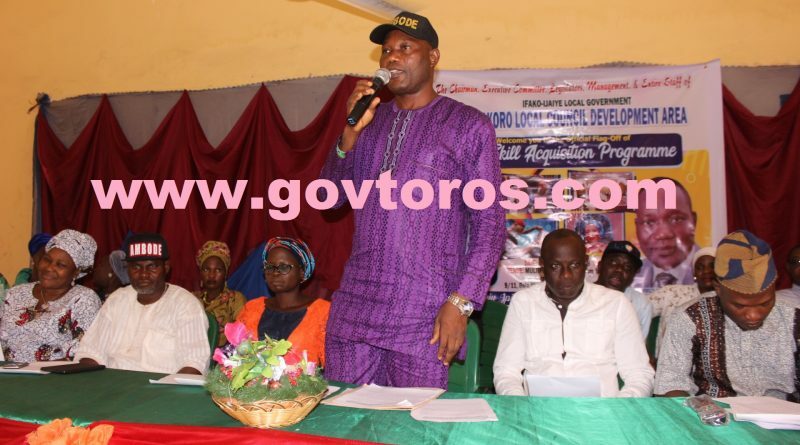 Hammed Idowu D. Tijani (HID) has began a 5day intensive skill acquisition empowerment and skill acquisition for the people of Ojokoro and its environs. 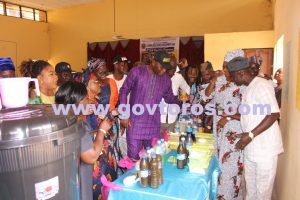 Among the trainings organized by Women Affairs and Poverty Alleviation (WAPA) department of the council are Bead Making, liquid soap, cosmetics, nylon making, starch production, gele tying , ice cream and more are covered by the scheme. This is to combat the alarming rate of unemployment and improve productivity in the LCDA and the nation at large. While speaking at the event, Hon. Tijani made known that, an idle hands is the devil’s workshop and it is imperative to engage our people most especially the youths so as to be productive and useful to themselves and the nation at large. 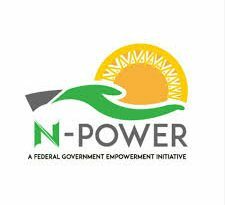 “As we all know that the global challenge of unemployment has resulted into various crimes which has reduced our cultural values and morals due to the fact that lots of the youths are now embracing and engaging in all sort of cyber crimes, theft and it’s like. “This administration is set to discourage and assist our people to uphold the glory and honour of our father land. 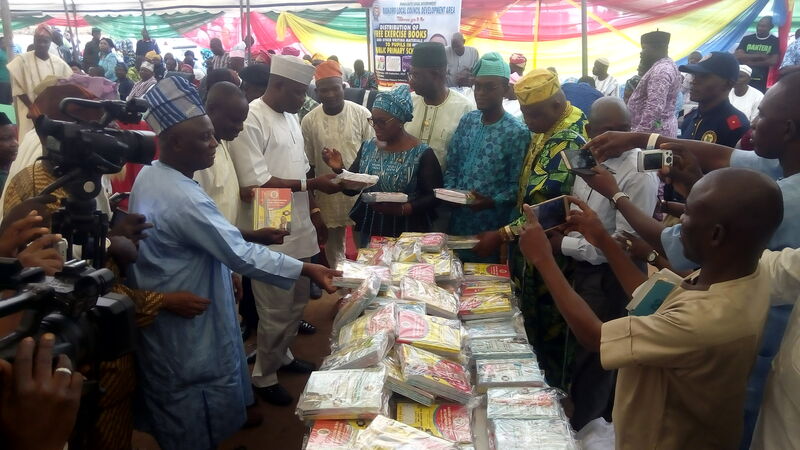 This programme is also aimed to encourage the discharge of the steaming energies of these youths to achieve and sustained meaningful livelihood”, he said. The council boss further encouraged all participants to be steadfast, committed, serious minded and see the opportunity as a life changing process. “You should also strife to equip yourselves with entrepreneurs abilities which will assist you to start, grow, and sustain a business entity”, Hon. Hammed concluded. Thank you so much for giving everyone an exceptionally nice possiblity to read from this site. It is usually so nice and packed with a great time for me and my office fellow workers to visit the blog on the least thrice in one week to see the latest guidance you will have. Not to mention, I’m just actually fulfilled considering the superb principles served by you. Selected two areas on this page are certainly the most suitable I’ve ever had. whoah this weblog is wonderful i really like studying your articles. Keep up the great paintings! You realize, many individuals are hunting around for this info, you can aid them greatly. I will right away take hold of your rss as I can’t find your e-mail subscription hyperlink or newsletter service. Do you’ve any? Kindly permit me realize so that I may just subscribe. Thanks. Hiya, I am really glad I’ve found this information. Nowadays bloggers publish only about gossips and net and this is really irritating. A good site with interesting content, that is what I need. Thanks for keeping this web site, I’ll be visiting it. Do you do newsletters? Cant find it.